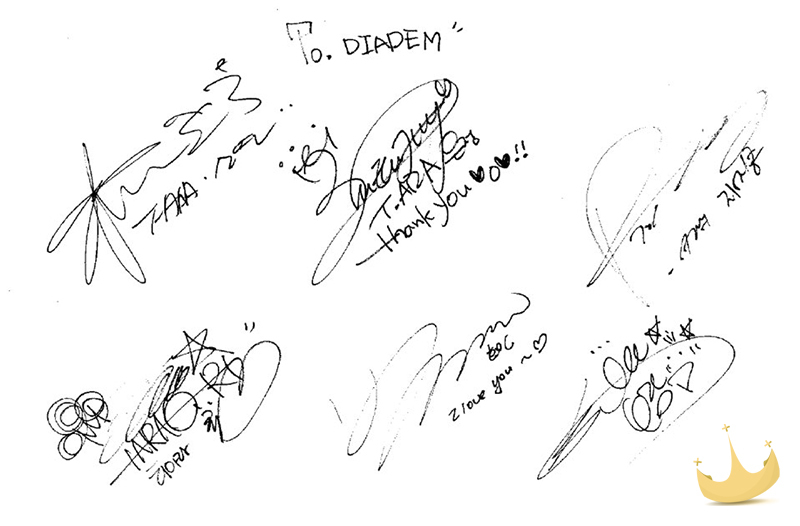 T-ara send autographs in thanks for Sugar Free Comeback Support! In thanks for our Sugar Free comeback support, which the girls showed off on their SNS as well, we received another round of autographs from all six girls to add to our collection! We thank all donors of the project in helping us provide a great meal for the girls. Soyeon sends a thankful message and autograph for our 2014 Birthday Project! Hopefully there were no desserts for this event.